Fragrance Specialties is a leading Manufacturer of Soaps Fragrances. 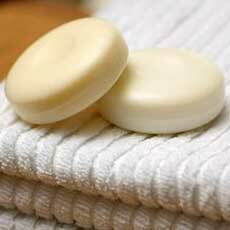 We provide a wide variety of lingering & vibrant fragrances for soaps with most promising results. We offer a variety of soap fragrances from citrus, lime and orange to fruity and nature like floral to fancy oriental. These compounds are the most demanded compounds in the industry. These chemicals undergo strict quality checks. Our specialized team with their innovations and application testing always endeavor to deliver most persistent high quantity fragrances for this segment. We provide soap perfume for economy soaps, Beauty Soaps, Luxury Soaps, Transparent Soaps, Baby Soaps, Hand Made Soaps, Medicated Soaps, and Hotel Soaps etc.